The Peanut Gallery – 2014 Review. 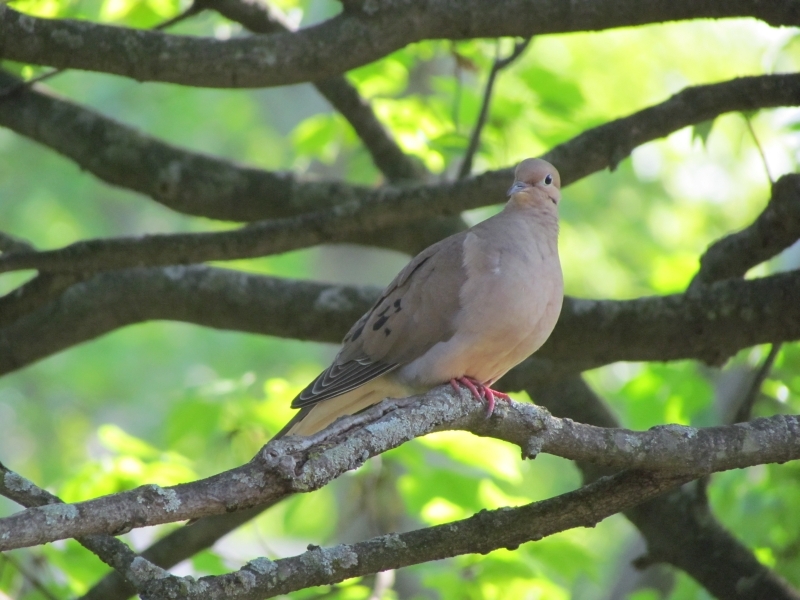 It’s that time once again to have a look at birds seen near my front door this past year! 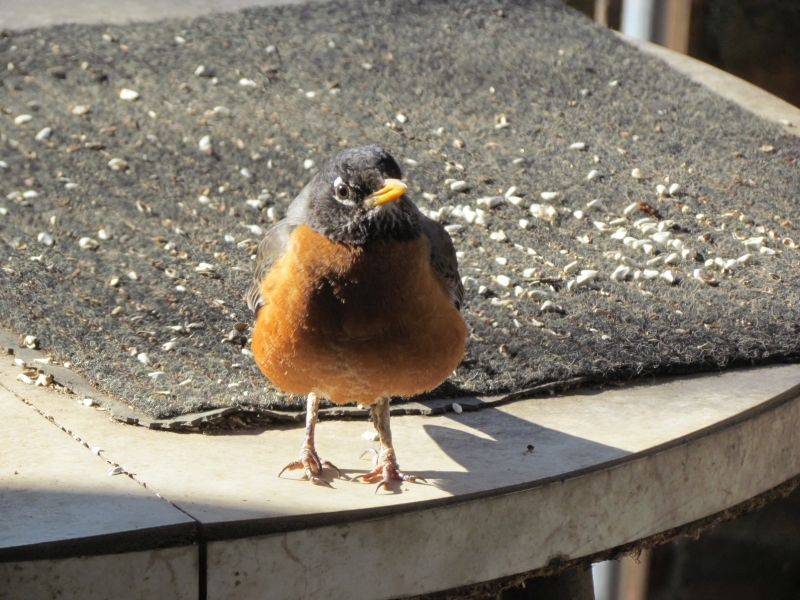 Early this year, I had my February Robin buddy come by for some raisins. 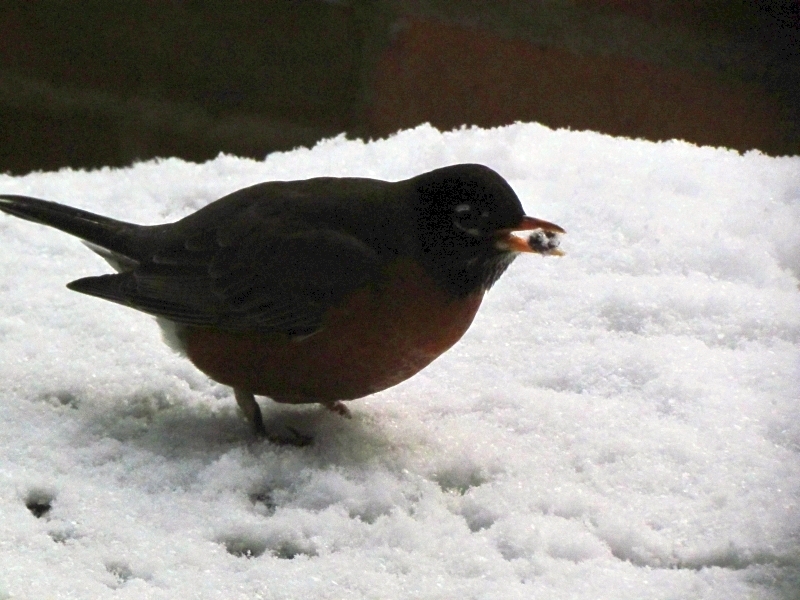 I’m not certain it’s the same male Robin every February that comes by for food, but there’s always one there- setting up an early spring territory, and wolfing down raisins when the berries run out in late winter. 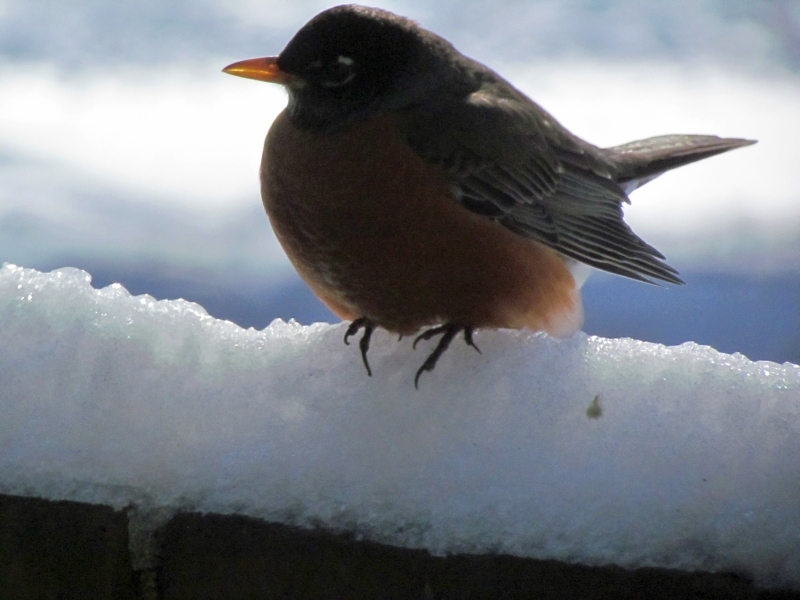 I’m always happy to help a bird out, and raisins tide him over until the spring thaw when insects can be found to eat once more in March. 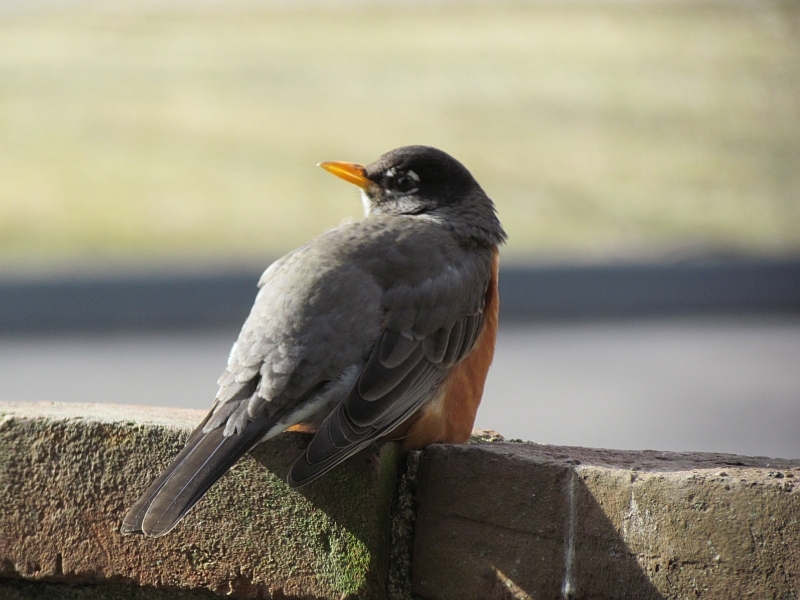 The Robin leaves then, but occasionally I’ll see him around the area trying to attract a mate to raise some young. 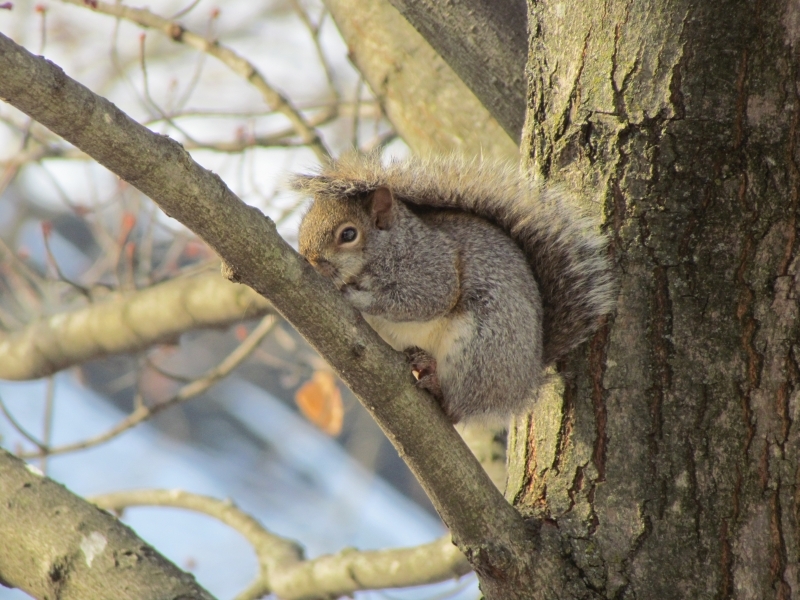 He’ll be back next late winter- or maybe one of his kids? They typically come first thing in the morning to get the early peanuts, and they are usually the last visitors at night to get the late peanuts as well. They are smart this way, avoiding the neighborhood hawk. 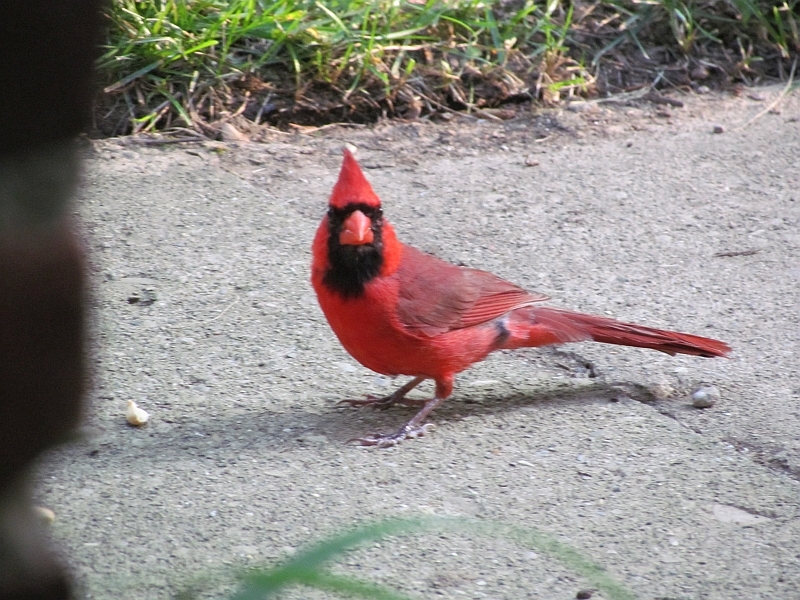 During the winter I don’t see as much of these birds, they join a local Cardinal flock and forage for seeds together. But they’ll be back, paired up in the spring to start a new family. 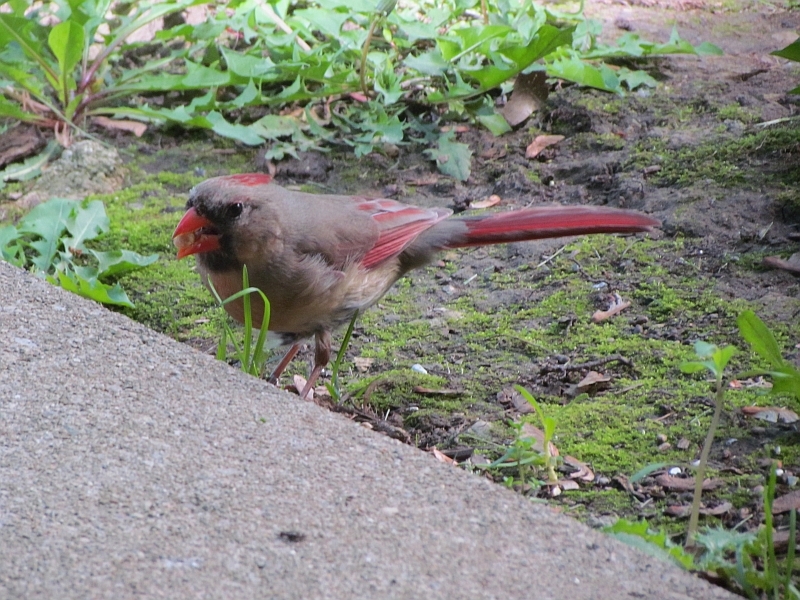 I had a hard time getting a decent shot of their young- Cardinals are pretty secretive with their offspring and keep them in the bushes safe until they’ve grown. This family has been with me for years now- it’s difficult to tell individual birds, but I’m convinced at least one of these birds has been around my place getting peanuts on the patio wall for years now. Their gentle ping calls occasionally remind me that I need to put out more on the wall. 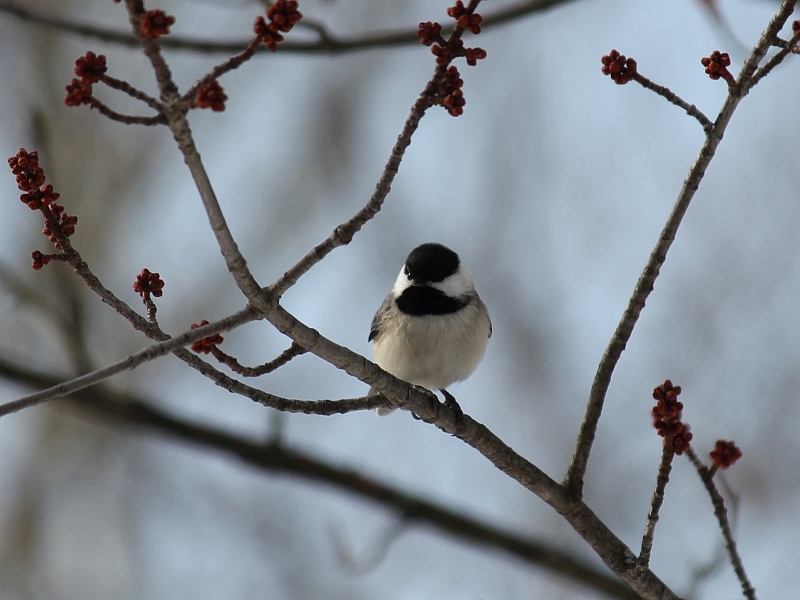 I see a Carolina Chickadee or two most of the year- the exception is in the summer for a month or two when they are raising a family. 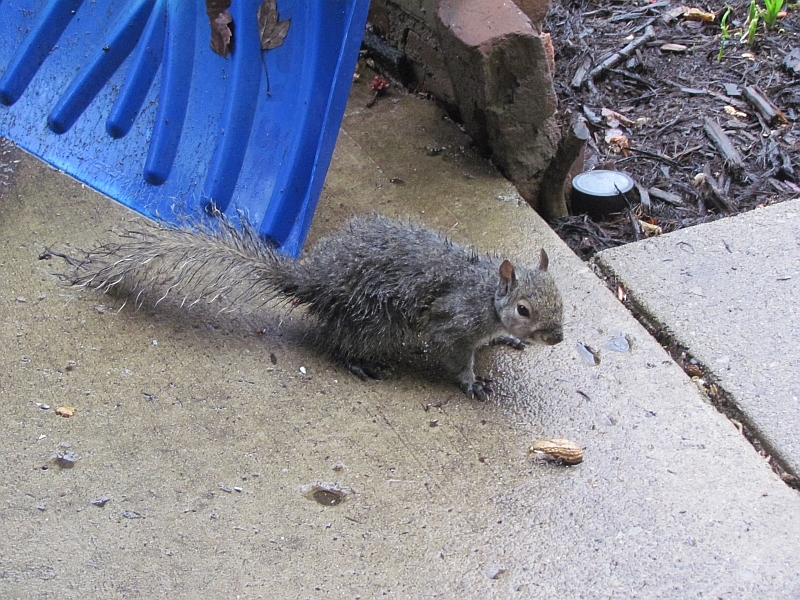 Otherwise, they are year-round visitors. These birds are quite tame and will come down for some peanuts while I’m a few feet away as long as I don’t make any sudden moves. 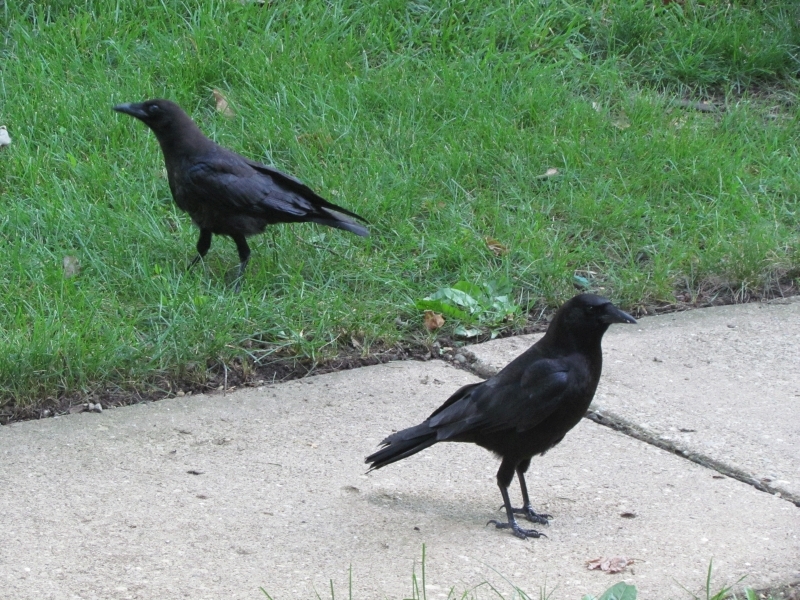 The Crow family is a constant visitor year-round. There were 8 of them this year- probably the 2 parents, 2 to 4 young ones from the last 2 years, and at least 2 new young ones, first spotted by July. Crows will often stay together as a family unit for a couple of years after they are born to help their parents raise new young. Sometimes I’ll see 2 or 4 of them, other times 6, rarely all 8 at once. There is often a lookout bird at a nearby high location keeping an eye out for hawks. These birds are smart. 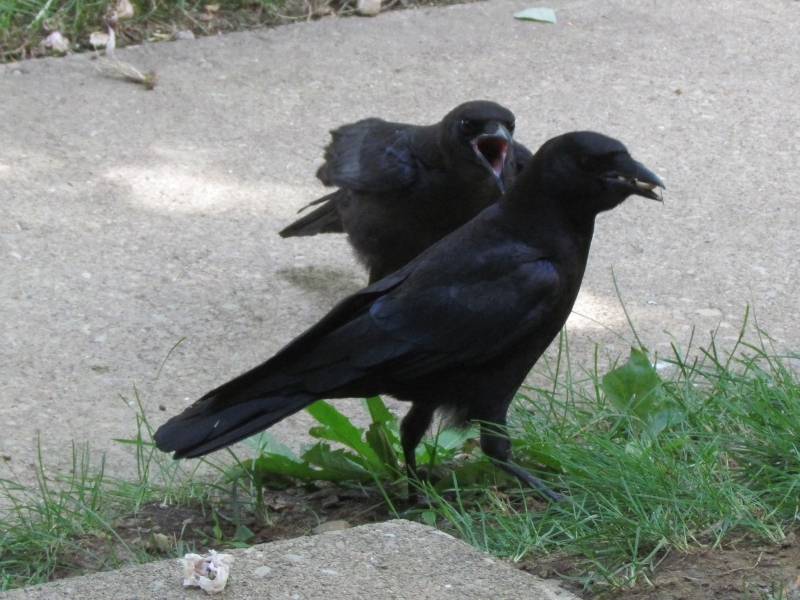 I know this is the same family because they are territorial and one of the older Crows who I named Flinchy is here year after year. Flinchy sort of flinches and jumps backwards when he or she picks up food- there must be an interesting story behind that. 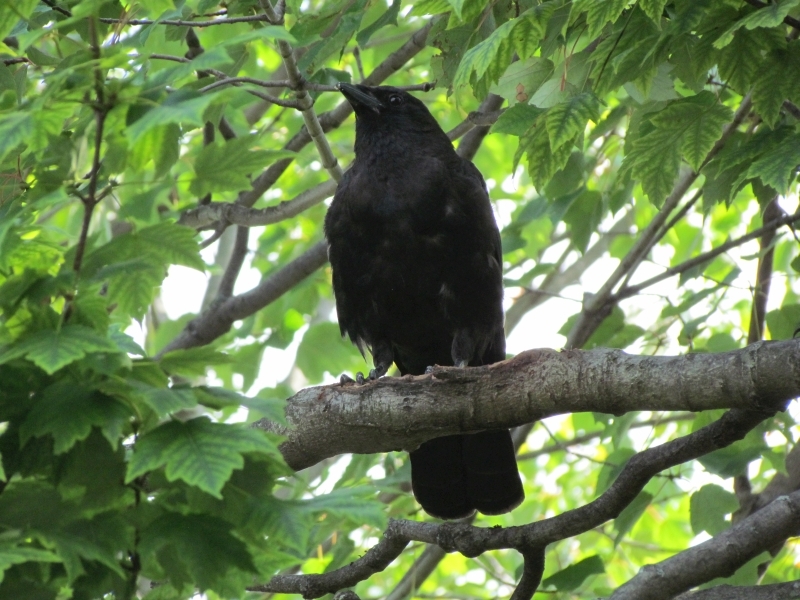 Incidentally, one of the younger Crows does the same thing, imitating Flinchy I assume. 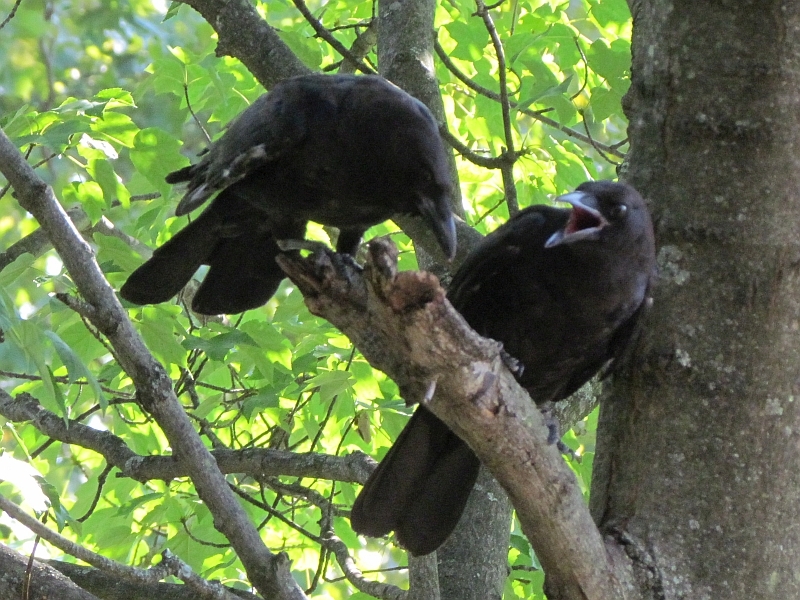 Here are young ones begging from older crows. They can really make a racket, and occasionally it almost sounds like they’re trying to talk- an eery sound. 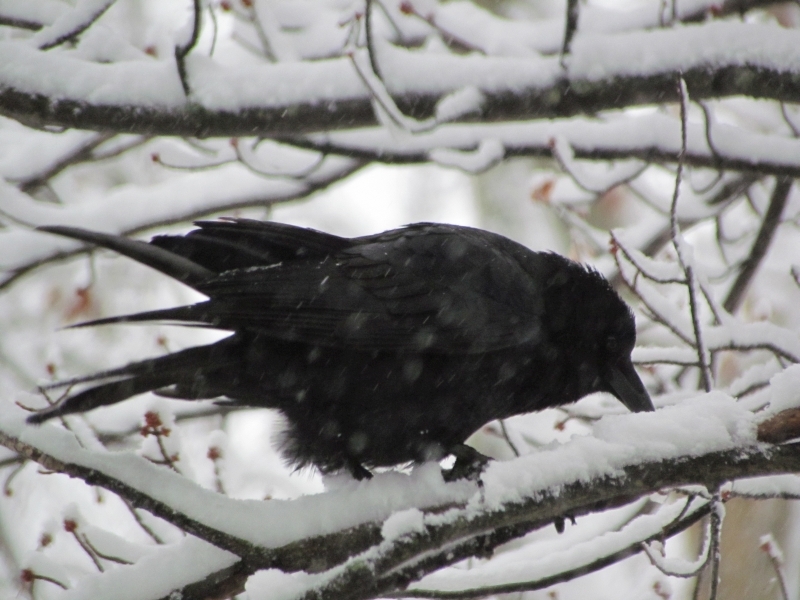 This is one of the young Crows playing with the snow- his first encounter with it, no doubt. 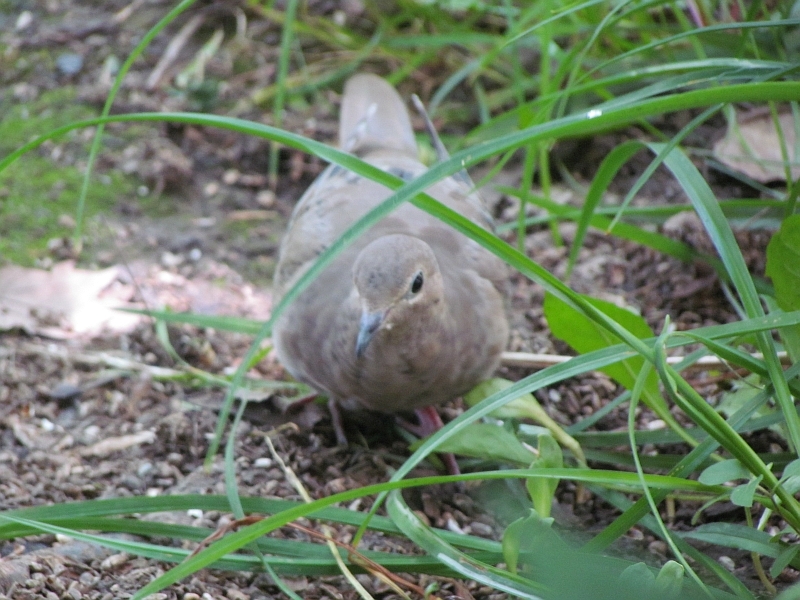 Mourning Doves are visitors that stroll around on the ground beneath my small safflower feeder, picking up the little white seeds that have fallen to the ground. They love them! 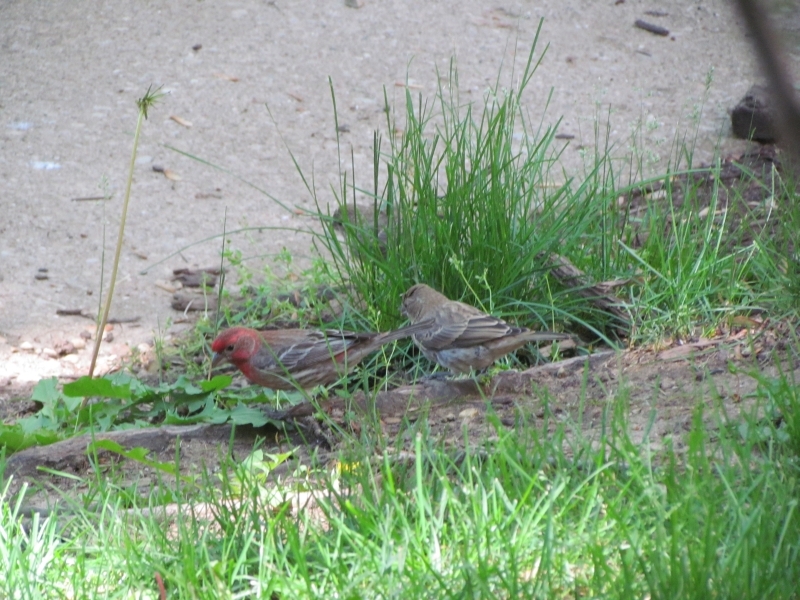 House Finches love safflower seeds as much as the Mourning Doves do. They aren’t as tame as the other birds, but will tolerate me as long as I don’t walk out on them while they are eating. 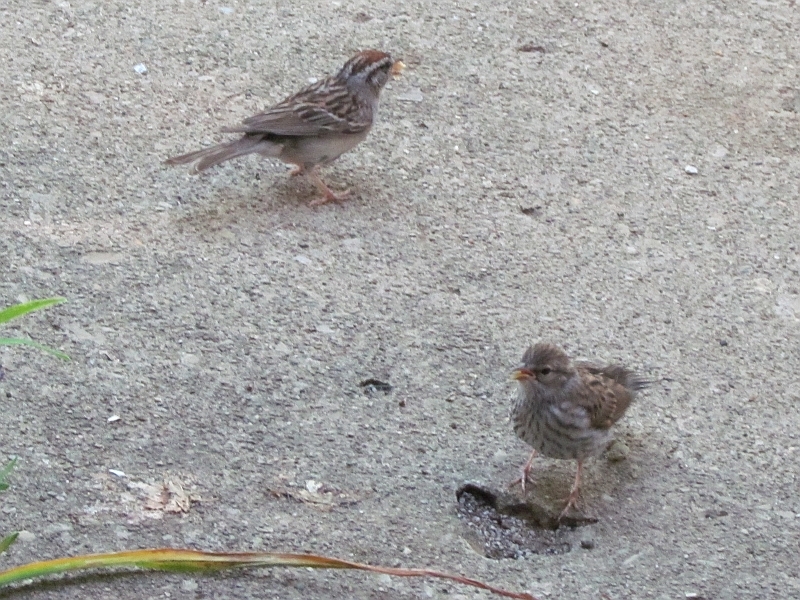 Here’s a busy dad with 3 juvenile House Finches learning to eat. 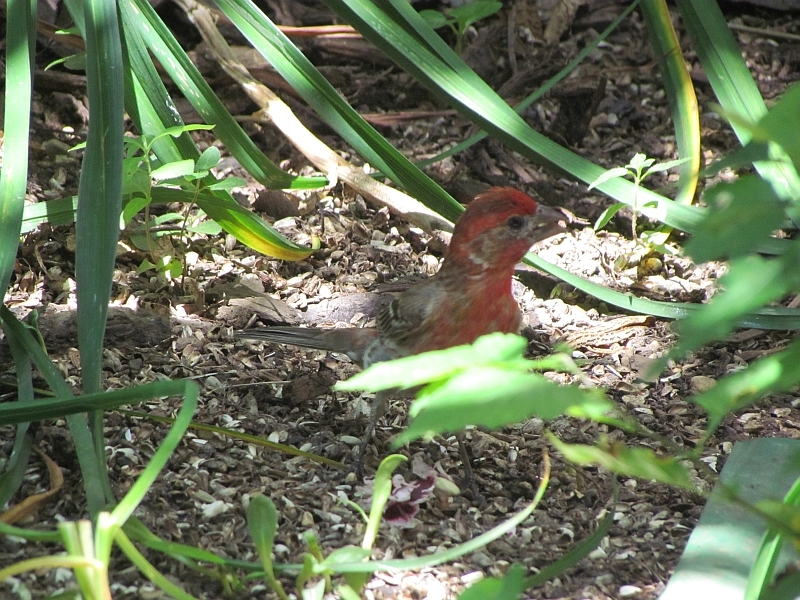 You may recall a post I did earlier this year about nesting House Finches– they are fairly common on the apartment complex here. 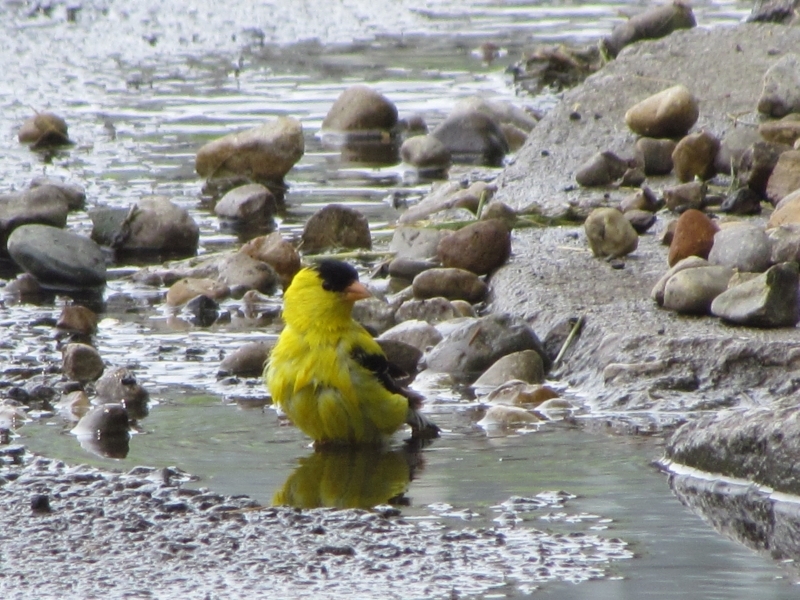 Speaking of finches- here’s a male American Goldfinch I spotted a little ways down the street bathing in a rain puddle. Goldfinches rarely come to my safflower feeder- or maybe they are harder to spot out there than I realize. 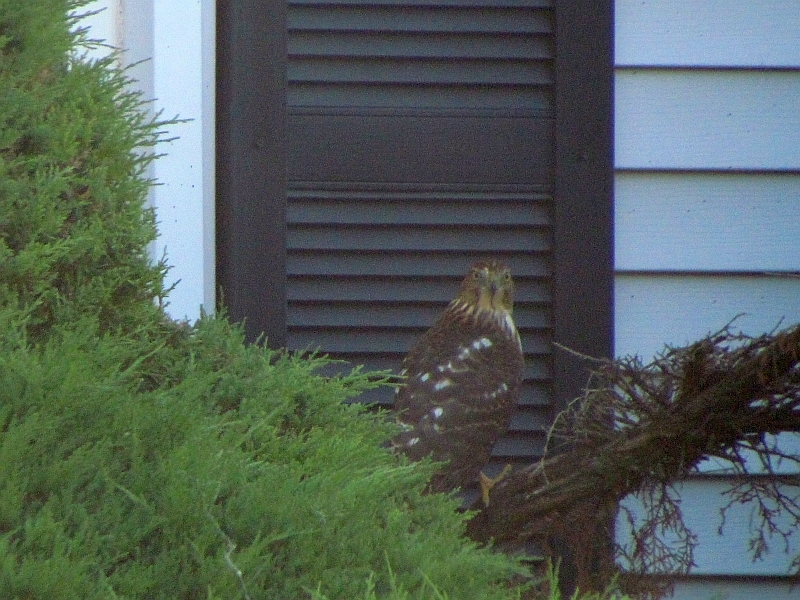 Here’s an example of one of the local hawks that patrols the complex- a Cooper’s Hawk. This is an immature bird (told by the streaking on the breast) sitting on a patio fence across the street from my apartment. These birds are amazing flyers and woe to the bird or small furry critter who doesn’t see them coming- they are swift and silent. Occasionally I’ll see them flying very fast a few feet above the ground, turning on a dime, and doing this all very quietly. 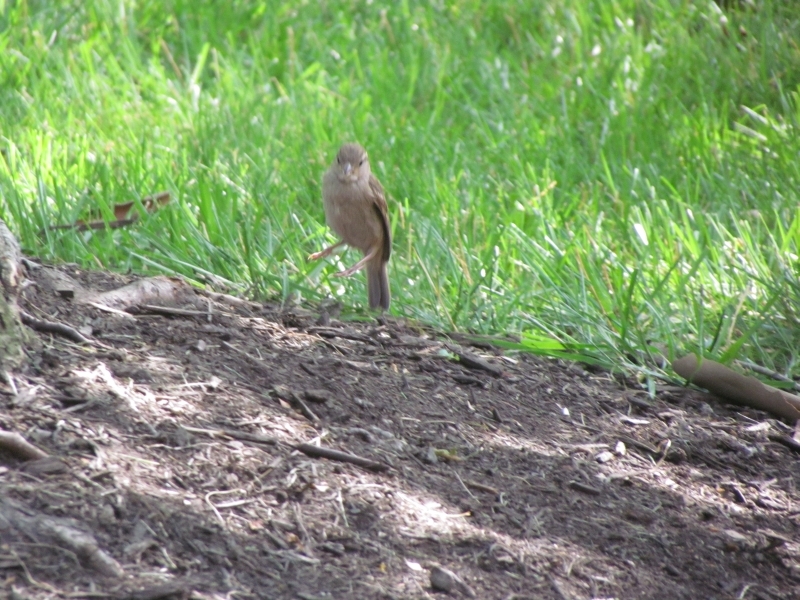 Here’s the same bird looking through the bushes to see if it can scare out any sparrows. These are shrewd birds. 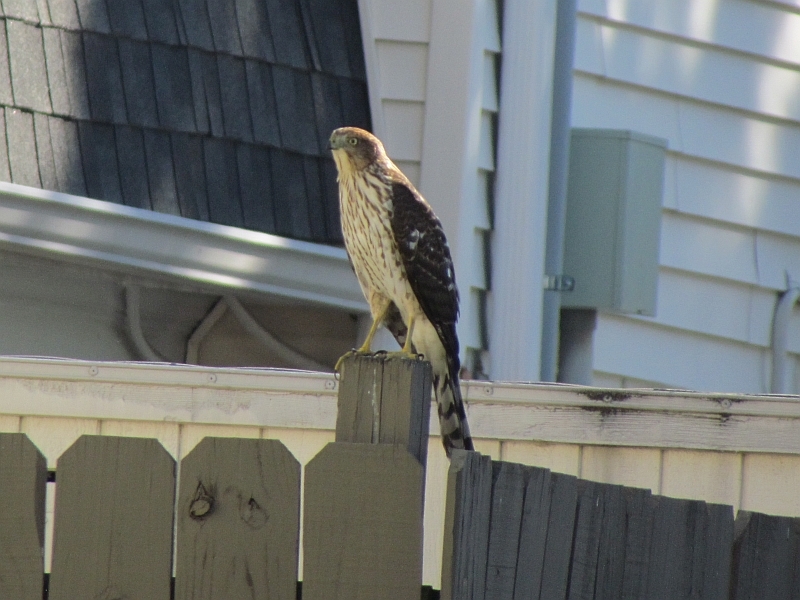 Here is an adult Cooper’s Hawk across the street who caught a Gray Squirrel off guard- this is the first time I saw a hawk on my apartment complex catch a squirrel. This happened only 2 days ago. I see them chase squirrels a lot, but as long as the squirrels see them, they are safe. This one apparently didn’t. 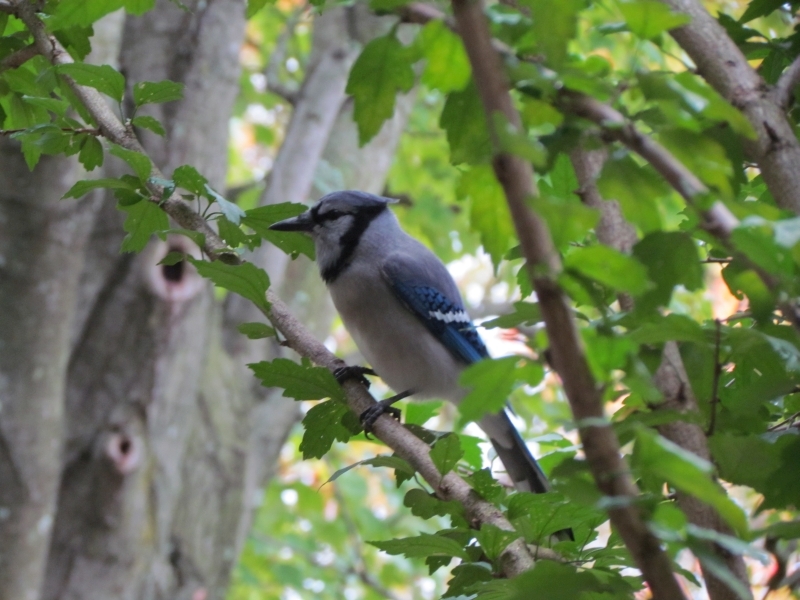 Here’s one of the louder visitors I have – a Blue Jay. I’ll see 1 or 2, typically in the autumn and winter. 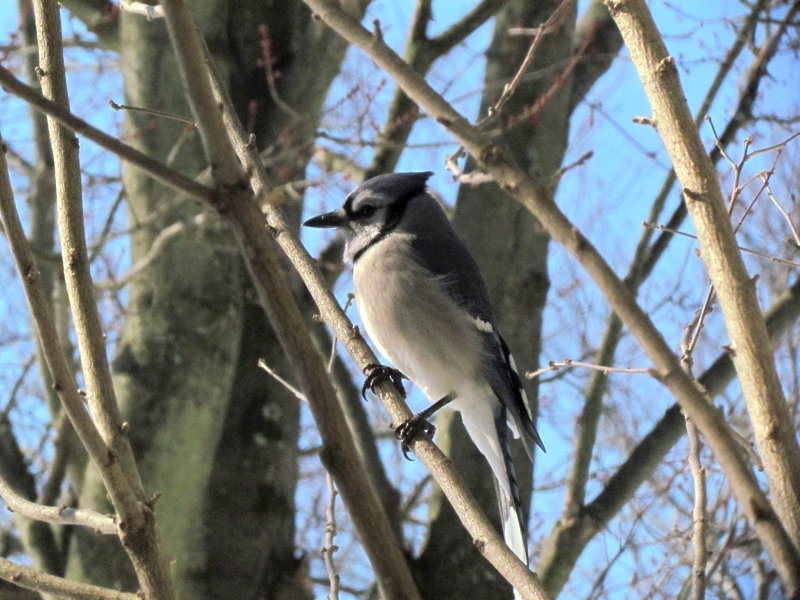 Once a 3rd jay showed up, but one of the regular jays chased it off. These birds will make all sorts of racket to get you to toss them a few peanuts. 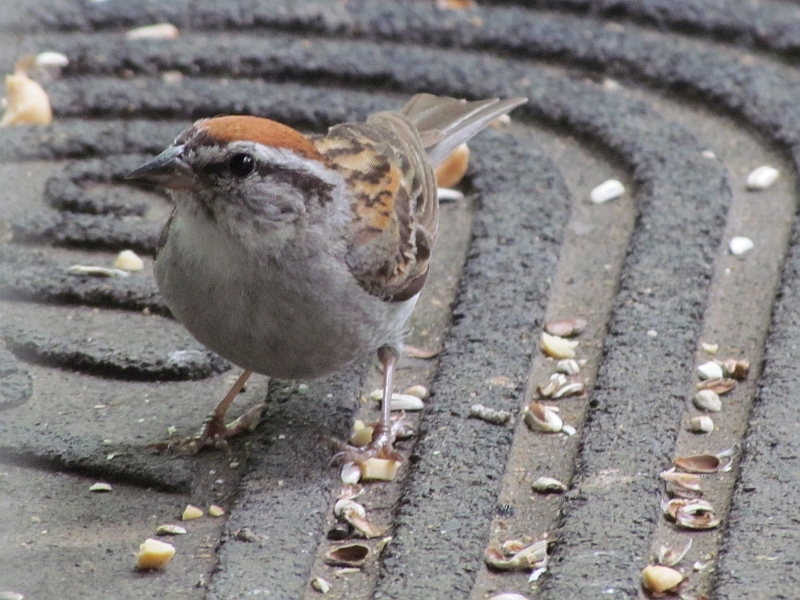 Here’s a warm-weather visitor, a Chipping Sparrow. These gentle birds have a harder time crunching up peanut halves, so I crumble the peanuts up for them. 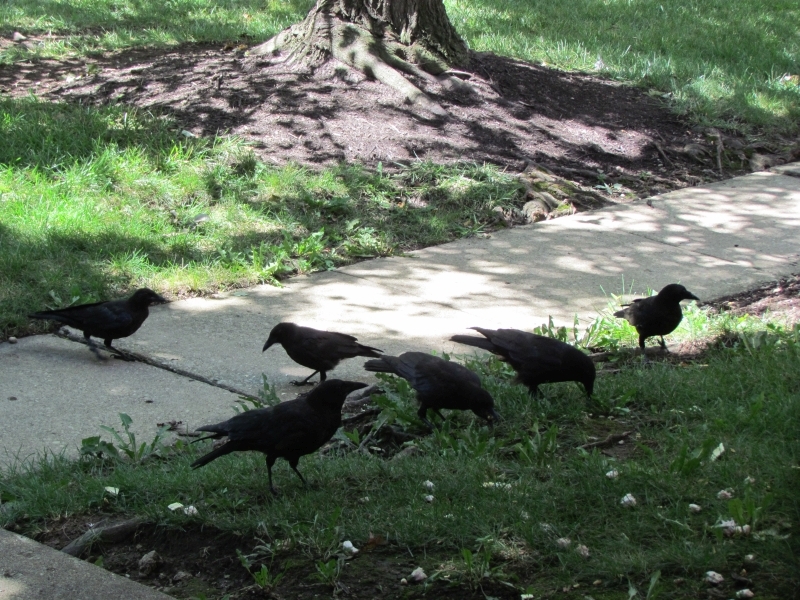 These birds are funny, sort of spiraling down from a tree to plop on the ground. Theses birds are quite tame and will get fairly close to me, hoping for a handout. Here’s a Chipping Sparrow parent with a young bird. I’ve seen more Chipping Sparrows raising parasitical Cowbirds on the complex than any other birds. 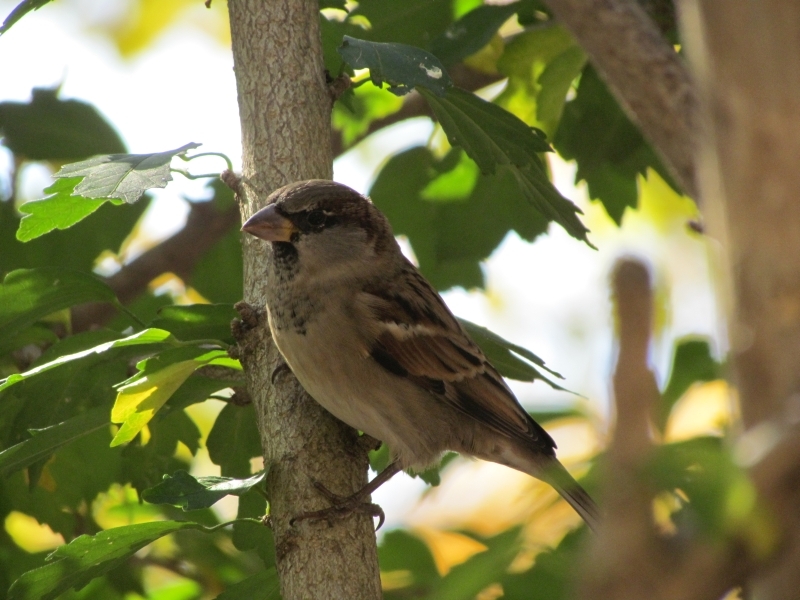 Here’s a handsome young House Sparrow that hung out near my patio this summer-I’d toss him a treat when I’d see him. 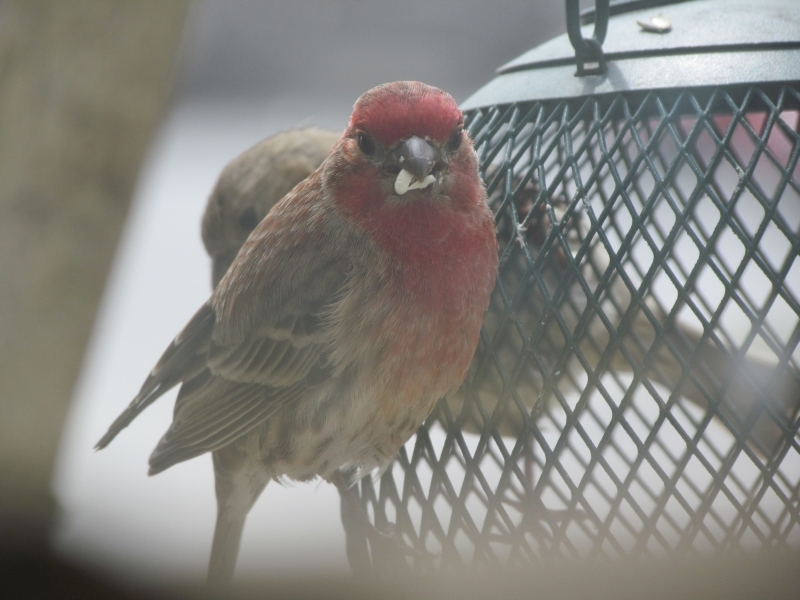 I saw him watching House Finches intently as they ate safflower seed from my feeder, and he joined in trying to eat the seeds, though House Sparrows don’t care for them. Here’s a little female House Sparrow hopping around who also hangs out near my patio. She’s especially tame and is used to my presence. 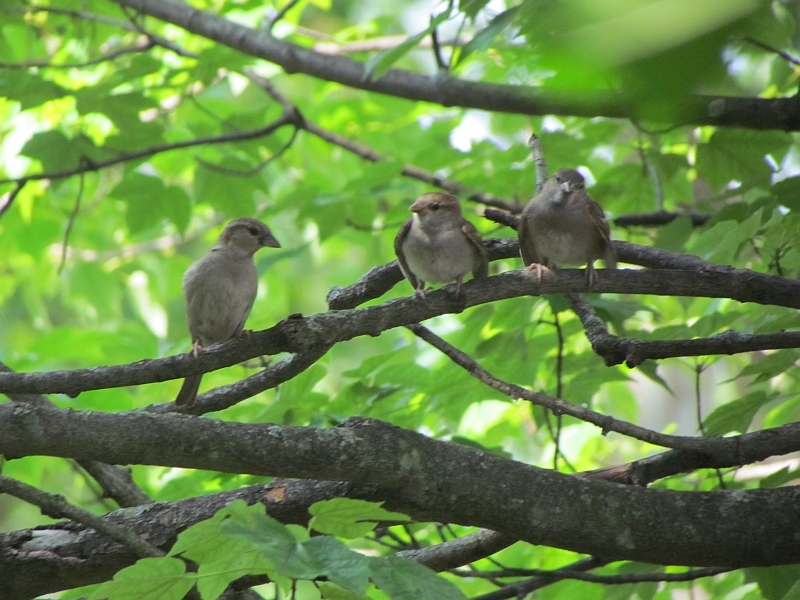 A female House Sparrow brings 2 young birds around to look for food. Look at how the young birds hold their wings, like they’re ready to quiver them in a begging motion. 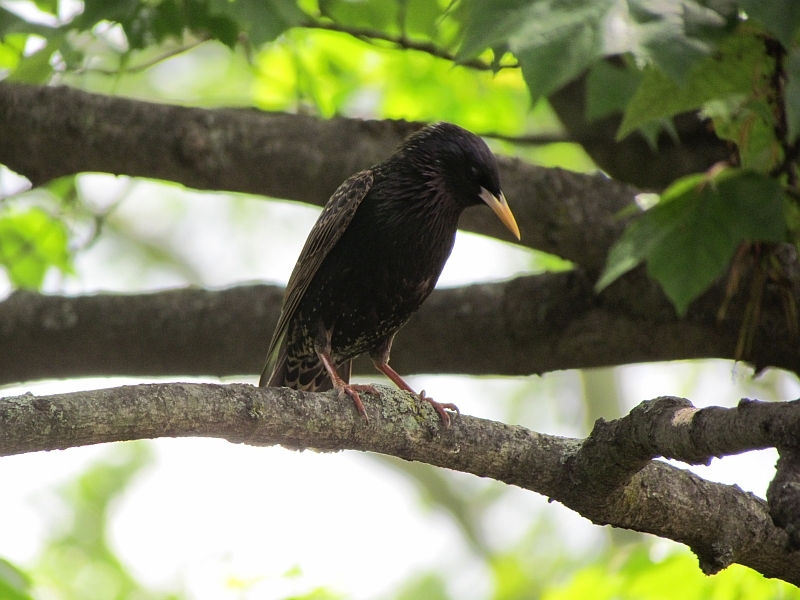 Starlings are an occasional warm-weather visitor. They’ll eat pretty much anything. 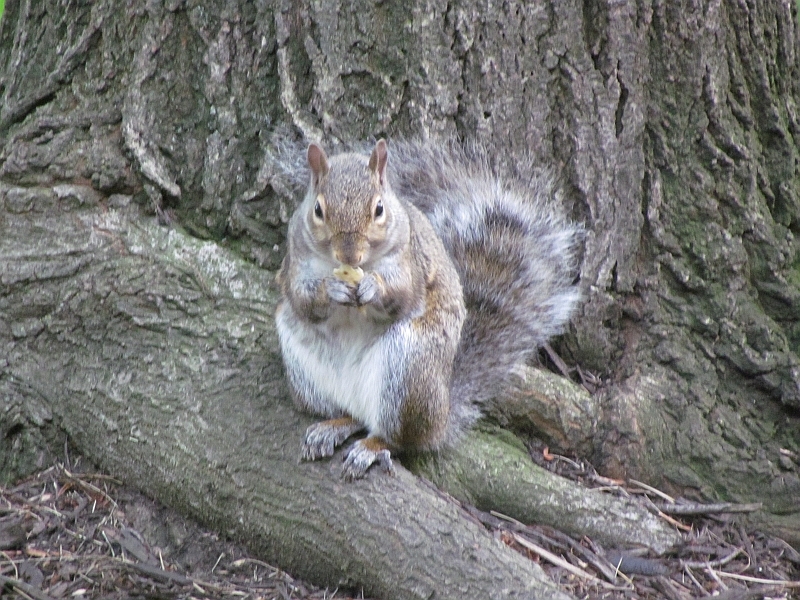 Last but by no means least- Gray Squirrels! 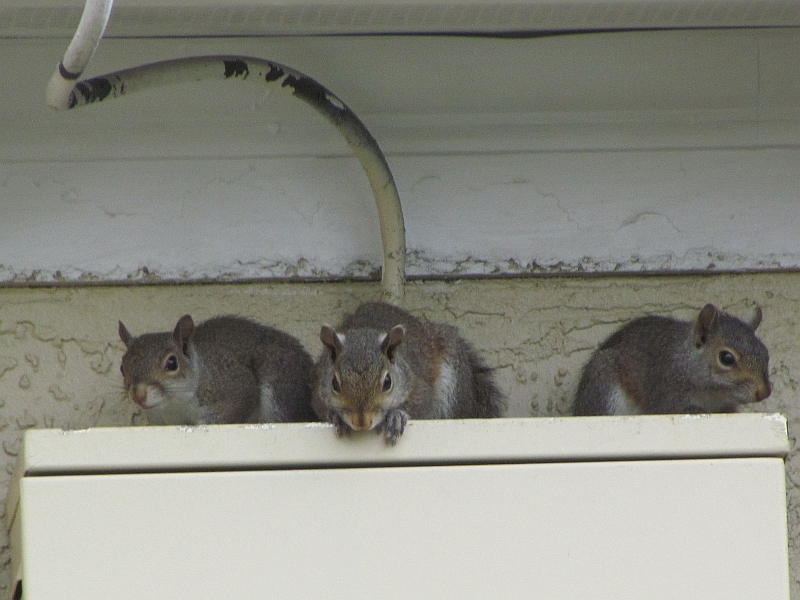 There was a bumper crop of them this year, making the apartment complex a bit crowded. 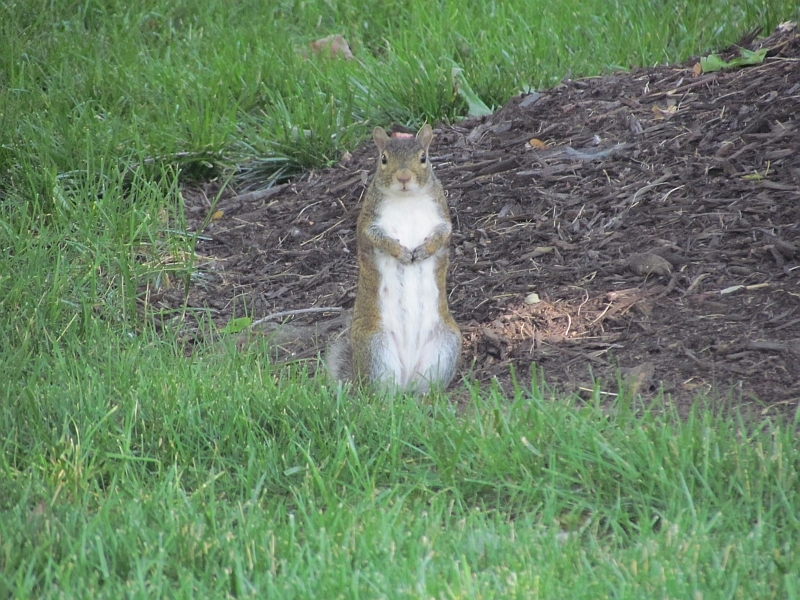 Only one of the squirrel families that flourished on the complex this year. Let’s hope all of these squirrels spread out more so as not to be hawk bait! ← Three Signs of Winter Approaching. Tracy, always enjoy your peanut roundups. Good luck with your new hobby. Happy Holidays! Many thanks John, and Happy Holidays! What a lovely array of birds! That Cooper’s Hawk looks mean but SO beautiful! It is, Jo! It is a gorgeous hunting machine! Thanks Jane and Happy Holidays! 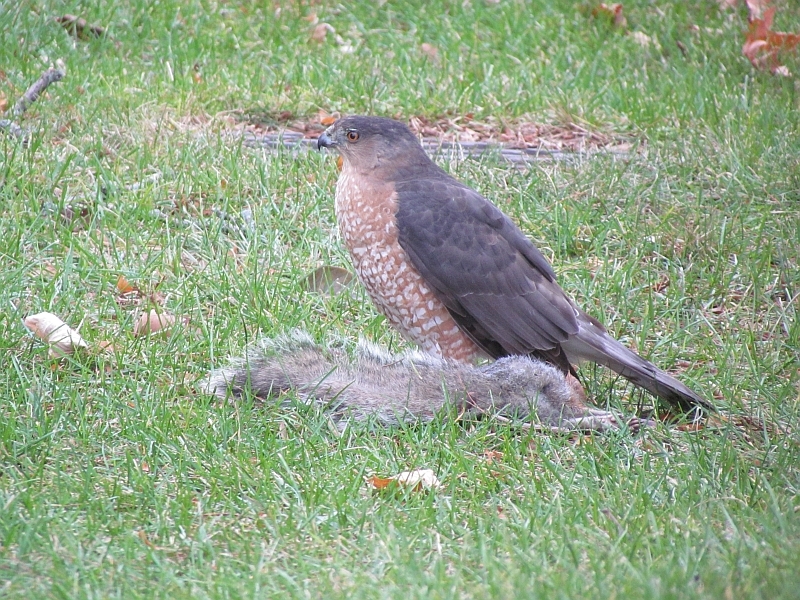 I never would have thought a Gray Squirrel had anything to fear from a Coopers Hawk! I was quite surprised to see that too, Robert! Whenever I see a Cooper’s interacting with an adult squirrel its usually chasing one around and around a tree, and the squirrel always wins. 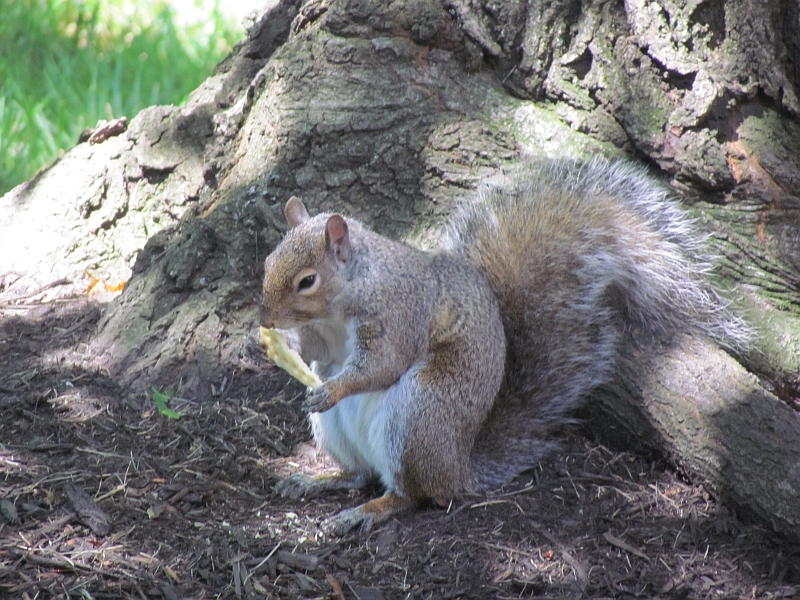 This one must have flew in at just the perfect angle and caught the squirrel totally by surprise! 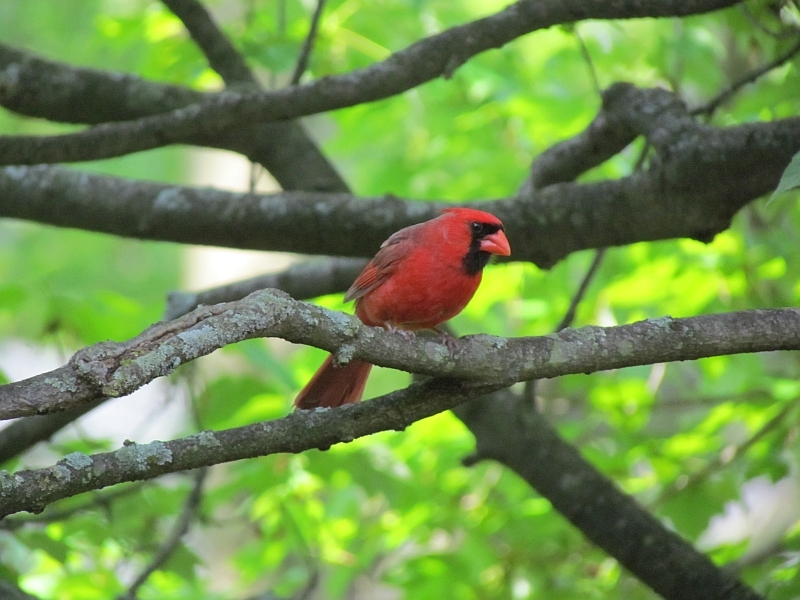 Cardinals are smart, visiting while nearly dark–that bright color would make them an easy target. I’ve never seen a hawk with a squirrel, but didn’t doubt the possibility. 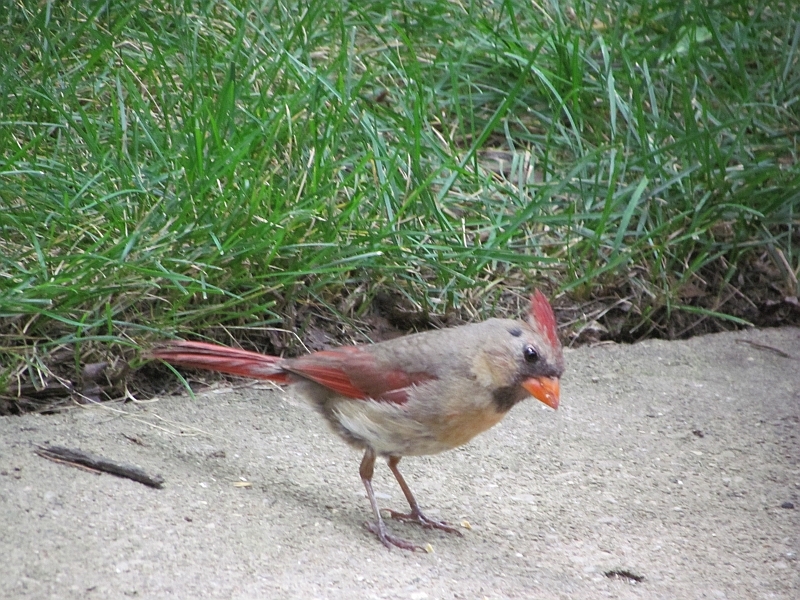 Cardinals are very smart indeed, Patti- they hide their offspring well, too. I’ve seen hawks chasing squirrels but I never saw one catch one before last week! Awesome! Beautiful photos! Merry Christmas! That looked like a good sized squirrel for the hawk! Our backyard owl seems to have returned–we heard it the other evening, though haven’t seen anything. I thought so too, Inger- enjoy your owl! Merry Christmas and a wonderful New Year . . .